Jordyn Guzman is returning to the County Line staff for her second year. How did she survive sophomore year? Don’t ask her. She wouldn't be able to tell you. When she is not complaining about AP chemistry, she can be found complaining about something else or watching various Vine compilations or looking at memes. She is stressed, but well dressed. 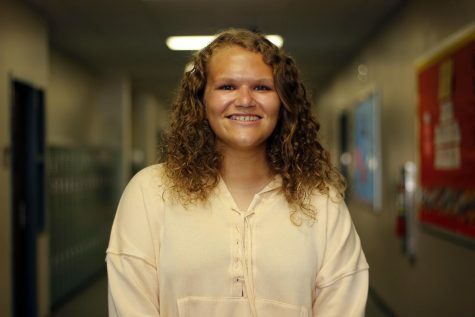 Her greatest passion is music and anything that has to do with it, with her favorite hobbies being practicing her french horn and blasting music from her record player. It is what fuels her and keeps her going. She is also very good at spilling tea. It is a skill she has mastered from watching numerous episodes of RuPaul’s Drag Race, and countless Shane Dawson vlogs. Jordyn is eager to be a part of the County Line staff for another year and can’t wait to see what this year has in store for her.